This post was written by Miss Eliza of Strange and Random Happenstance, who will be our fearless leader through the month of April and Pink VIII. Give her a warm welcome, y’all – and happy reading! Bonjour je m’appelle Mademoiselle Eliza! Ahem, I mean, hello, it is I Miss Eliza! I got carried away with the fact that we’ll be spending April in France… I love Paris in the spring time… ok, no singing either, I shan’t sing; and I shall leave the formal introduction till tomorrow and do some bookkeeping today, though you shan’t get the story of why I am forbidden to sing, and yes, I am forbidden to sing, law established and passed in 1997. Today might be April 1st, but I kid you not that this shall be an awesome April! 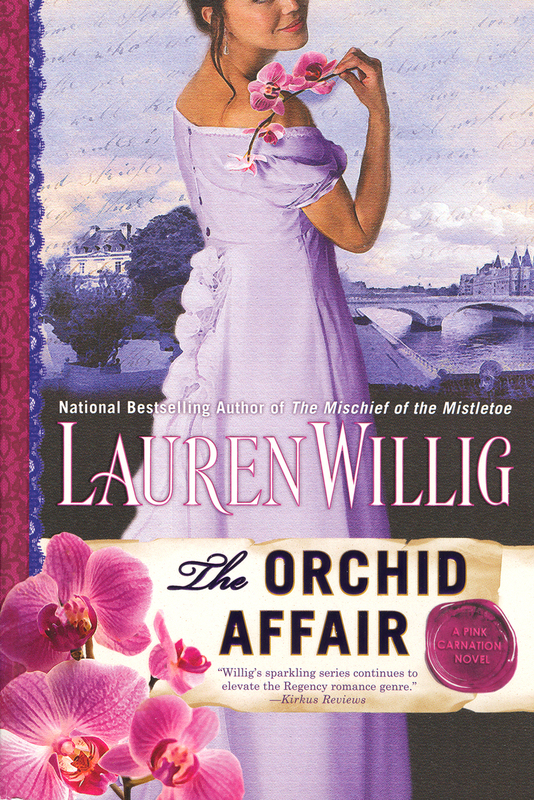 We shall be having a fine old time re-reading, or perhaps reading for the first time, The Orchid Affair, the book Lauren calls her “Sound of Music meets James Bond” book. Loved this book–Will start my re read over the weekend! Dear Miss Eliza, No law was passed, but my husband, who is usually very nice, told me not to sing to our newborn, “so he won’t grow up to sing like you” !!! By the way, I wouldn’t refer to reading this as plowing. More like racing, as once I start reading a book by Lauren, I can’t stop. Looking forward to rereading this one. Having to write the weekly reading recap helped me from finishing this overly fast. And Sheila, at least your husband didn’t pass a law, that was considerate of him, so some feelings are spared. Glad to have you on board Susan! 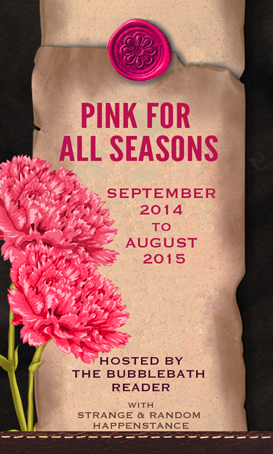 Eliza, this is another favorite Pink book for me so I’m looking forward to this discussion. I started my reread over the weekend at a local Massachusetts botanical garden where, appropriately, there were orchids! Oh, jealous of the setting! Too bad we can’t all jump on a plane to Paris and have the discussion there! That sounds lovely! It may have been springlike inside the Tower Hill Orangerie but it definitely isn’t outside! Soon it will be warm. I hope! Ah…to leave the heat and humidity of India for the sweet springtime of Paris! Rolling up my sleeves for another dive into the world of the Silver Orchid. I must admit I very much enjoyed this book the first time. Second that Patricia! Though the heat of India was a nice contrast to the cold of a lingering winter.